The following is a post written by monthly contributor Alexa. I really enjoy when people recommend movies on blogs. I am an old movie fanatic so I am going to try (hopefully I can keep it up) to pass on a few movies monthly that I think should be watched in that particular month. I warn you - many of them will be from the 1930-1950's, but I will throw in a few newer ones here and there to add some spice. I also really believe there are certain movies that should be watched in order - to enjoy them at their best. So I give you six movies I recommend for the cold month of January. Now I know you may be tired of Christmas movies, but this one is appropriate because it begins around New Years and ends with New Years. The movie has Bing Crosby and Fred Astaire, so I don’t think I have to say any more - but I will. This one is just plain fun. After Bing’s character loses his girl to Fred (Astaire's character), he decides to open up a night club/restaurant in the country which is only open on holidays. Hence it’s called Holiday Inn. Anyway, Fred ends up being dumped by the same girl (the one who left Bing - yep she is a real winner) so Fred comes to Holiday Inn and starts eyeing up the new girl that is in love with Bing. It’s a classic chick flick storyline with wonderful musical numbers throughout. If you’ve got the winter blues, try this movie. It will brighten your spirits in no time. "Start the New Year right” with this movie. Now this one is also a Christmas-sy movie, but I like this one. It's good especially for all you singles out there because it’s very hopeful, and January can be such a dreary month. I think you need a little hope and a little push to keep dreaming in January and this movie delivers on both. It’s more than your usual chick flick, it’s about family and community. I find sometimes chick flicks tend to be "all you need is your one true love and everything is perfect". I like While You Were Sleeping because it shows our need for community and family - not just a love life. I also like how the movie shows the fact that you really do "marry" the family of the one you love. Something to keep in mind if you're still single ;) Also who doesn't love a good love triangle - am I right? Now this one is not a very well known Cary Grant and Katherine Hepburn movie. 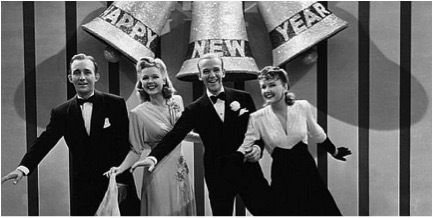 You have probably watched Bringing Up Baby and Philadelphia Story but likely not Holiday. It’s a mystery to me why this film is not more well known because it sure is fun! 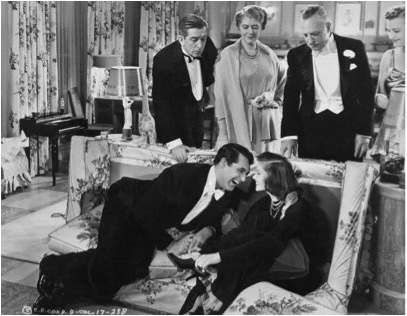 Cary Grant is also quite young in this film. It is also one of the only films he really shows off his acrobatic talent. Grant used to work in a circus before becoming a hollywood star - so in this film he does tricks and a great double somersault with Katherine Hepburn. His character is a young man who wants to seek out what he should do with his life, he thinks there must be more to life than just working and paying bills. Katherine’s character shares his lust for life, but it’s Katherine’s sister that Cary falls for first. All in all, a great film with some stellar lines, so take a little holiday with this film. 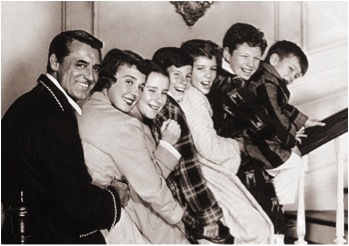 This is another hidden gem with the great Cary Grant and his real-life-wife, Betsy Drake. This movie is my idea of Catholic family life. Although there is not a lot of mention of religion in this film other than prayers before meals, nevertheless this movie is bursting with the messages of pro-life, pro-adoption, pro-family, unconditional and sacrificial love. The story is a simple one about a husband and wife and their three children. The story begins when Betsy (the mother) is hoping to adopt a child because we are told their family was once a family of six but sadly went down to five. Betsy goes looking for a baby and ends up taking in a teenaged girl who came from a very troubled background and is no walk in the park. They end up taking in another child - a 12 year old boy also angry and who has a disability. The story is wonderful as it’s about loving people where they are at, and loving them because they are people, not because they are perfect or even because they always deserve it. This is another star-studded film that is not very well known. 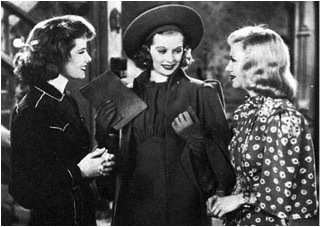 It’s an almost all female cast with great actresses such as Lucille Ball, Ginger Rogers, and Katherine Hepburn. You will have to be paying attention for this one though because the cracks and witty lines are non stop. It’s a story of a boarding house full of aspiring actresses, and the stories of their ups and downs. It is rather dark but it’s chock full of great acting and drama. In January I feel we need a little dark drama - for those long, chilly nights - just to remind us that things could be a lot worse. About Time is a great, whimsical, British, romantic comedy about a father and son who can both go back in time. Not go back to King Arthur time, but just go back over their own lives. The son falls for Rachel McAdams and uses his new talent to win her heart. There are some inappropriate scenes and language, but overall I thought this film was really good for promoting family and community. It also has an overarching theme of living in the present moment, which is a good reminder in January. Because if you're like me, sometimes you just don’t want to be living in the present moment of a dark and cold January. But this movie does a good job of reminding us that every moment is worthwhile. Besides, who doesn’t love British humor and lush British landscapes by the sea? So there you have it folks, six movies to keep those January blues away. Thanks for these recommendations. I agree, many of the best movies were made in the 30's and 40's. I saw Stage Door years ago and it was great! I've just put in a request at the library for Holiday.